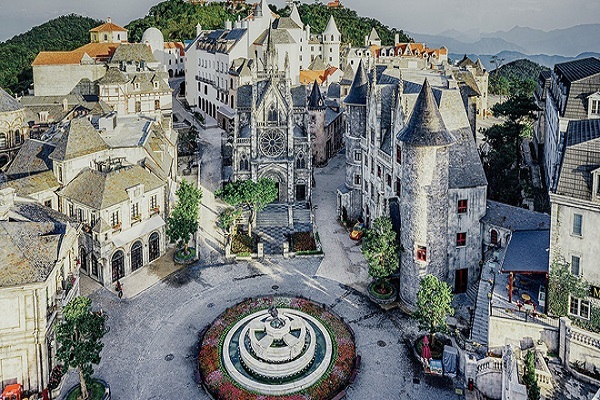 Sun World Ba Na Hills - Sun World Ba Na Hills – Small European village in Vietnam, four seasons are beautiful. 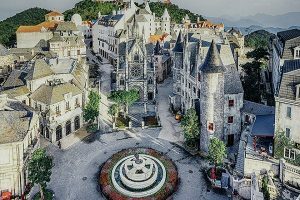 Sun World Ba Na Hills – Sun World Ba Na Hills – Small European village in Vietnam, four seasons are beautiful. 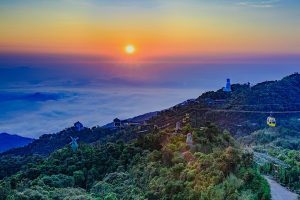 With spiritual destinations, there are Linh Ung Pagoda, Linh Phong Bao Thap, Linh Spirit Temple, Shakyamuni Statue, Tea Garden, etc. If you are looking for photo backgrounds Nice and 1-0-2, works such as French Village, Le Jardin D’amour gardens or Debay cellar will make you happy and catch all the phone battery to see! 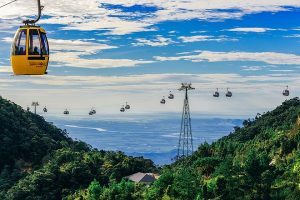 Come and stay here, you will also experience the Guinness World Records cable system, which has been voted CNN as one of the 10 most impressive cable car in the world. I will never forget the half-dreamed scenes that I had the first look at sitting on the cabin. Surrounding is the cloud cover, looking down is a whole large green majestic. The feeling is just a little “crept” but also very interesting when suddenly found himself small in the world. 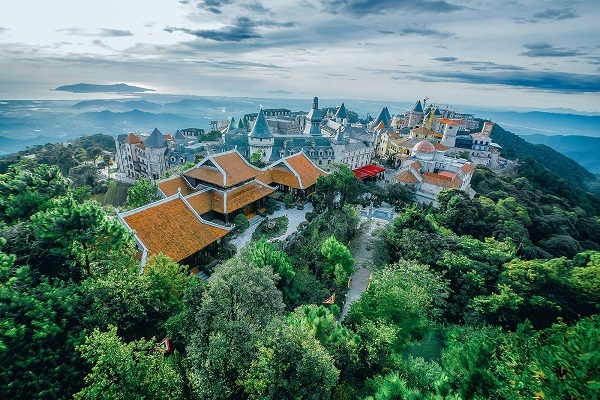 At Sun World Ba Na Hills, you will be surprised to see the resort staff ready to bend down to pick up a piece of trash along the path, to keep it as clean as possible in Singapore. Do not be surprised to see many wheelchairs are located in the cable car station so that people with disabilities can use when there is a need. 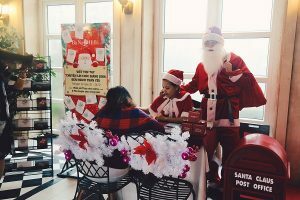 I have witnessed the staff of this resort to help the elderly, push the wheelchair of disabled travelers walking around Ba Na Hills. 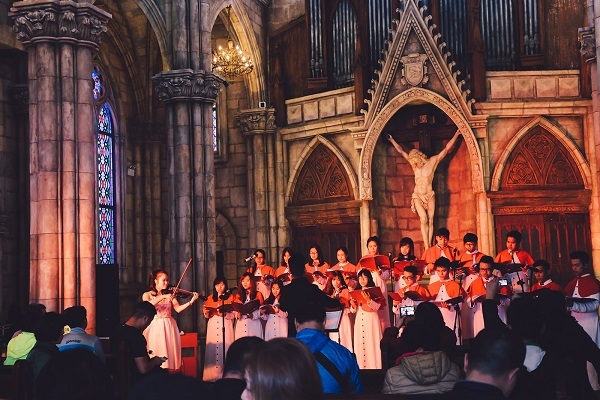 These small acts give you more reason to love this friendly, humane destination. With what has been done, Sun World Ba Na Hills has been honored three times by the Vietnam National Administration of Tourism as the leading resort in Vietnam. And to really come here, you understand, the title is completely worth it. But “beautiful” or “massive” is not enough to talk about Sun World Ba Na Hills, where it is also a leading destination for festival worshipers. You want to be beautiful, go anywhere! But if you want to have fun, this is the first choice. Every season is pleasant, festivals all year round. 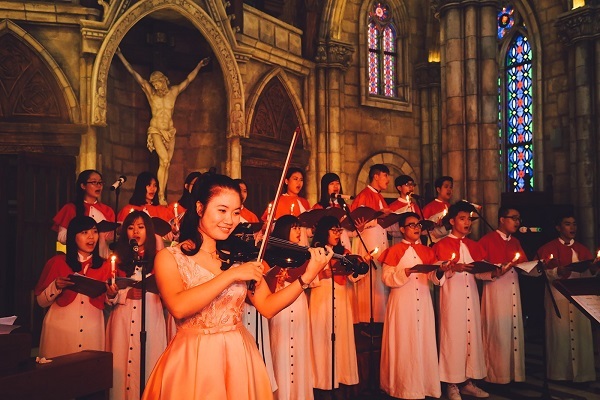 Da Nang is a city with a pleasant atmosphere, fresh. 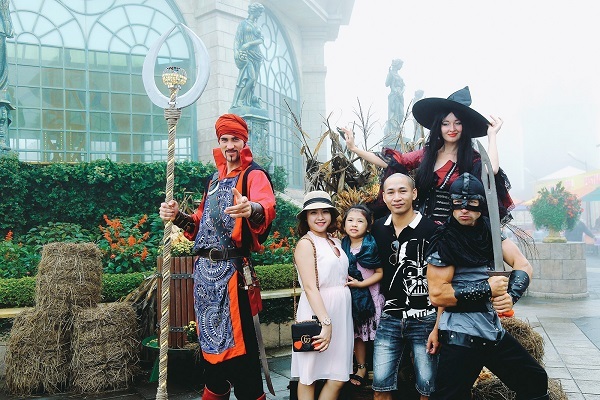 And at an altitude of 1,489 meters above sea level, Sun World Ba Na Hills has cooler weather all year round. 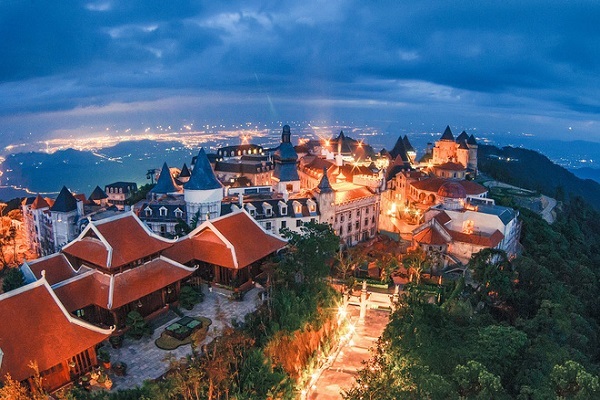 Many call this resort a “temperate zone in the jungle” because in the same day but here, you can enjoy enough atmosphere of 4 spring, summer, autumn and winter. The difference is most pronounced when you take the cable car from the station to the arrival station. The air became cooler, the sky clearer, no more dusty and dusty, and of course, much easier to breathe. 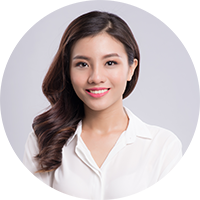 Wrapping your eyes in the surrounding area, the feeling of comfort grows more and more everywhere in the Sun World. Ba Na Hills are green patches of the eyes. From the trees covered with shade down a road to the beautiful little flowers are carefully trimmed – all helped to get here the fresh, gentle that not all resorts have. . 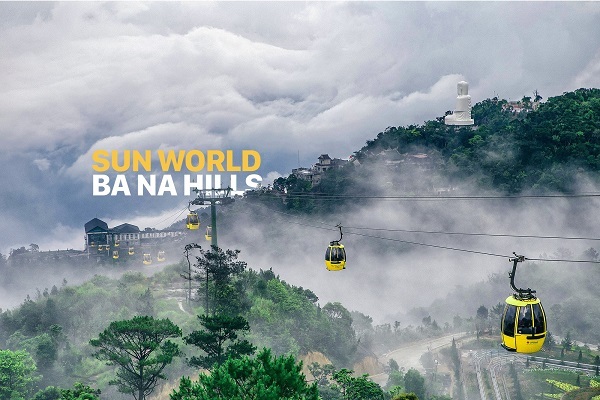 But that is not the best thing about Sun World Ba Na Hills. Come here in a cold autumn afternoon, I was not surprised by the busy, bustling atmosphere of this place. Strangely, this is not the time when people just want to curl up in blankets, watch some three dramas and wait for the long year to end? Why are there fun festivals here? Or is it here “eating season”? 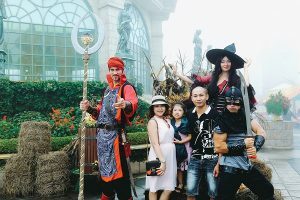 But it is not just autumn that, at all times of the year, Sun World Ba Na Hills always have plans for their own festivals. Yes, exactly, the festival throughout 365 days! Unexplained but totally true! 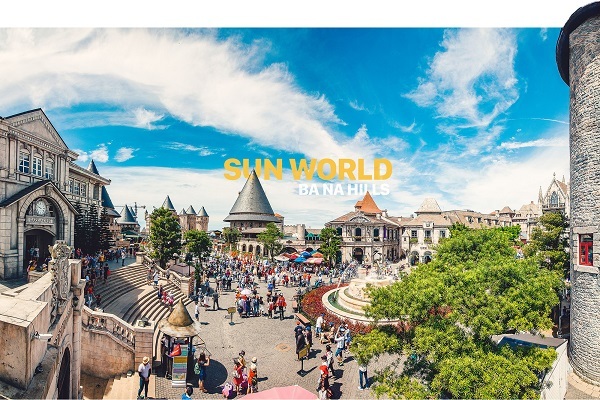 Enard – a British friend whom I accidentally met while wandering in the French Village said that this was his third trip to Sun World Ba Na Hills. If Enard had enjoyed the atmosphere of spring and summer, he would be looking forward to the year-end festivities. 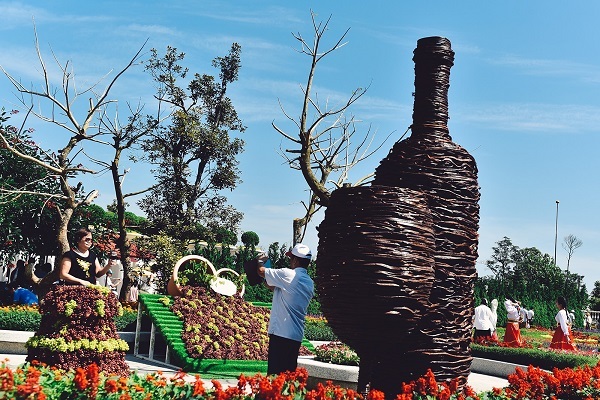 “The most memorable was last summer when the Wine Festival took place! First time I was witnessing the ancient wine cellar with the barrels of oak wood. This is also fun because there are places for people to perform the process of making wine manually. Unfortunately it was busy and I was not able to go“. – The tall man just waved his feet and described his excitement. Listen Enard said that I am half excited, half regretted that I missed a happy occasion so. However, I am sure that the series of events at the end of the year will cover all my heart. 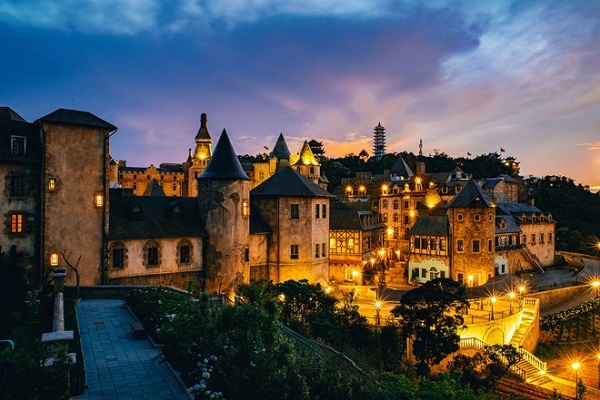 The evidence is only the beginning of the winter but Sun World Ba Na Hills enough to make me swoon with the atmosphere is super romantic. 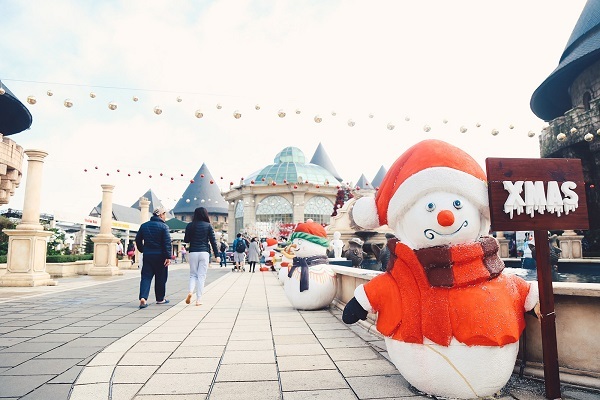 Hey, this is the snowflake snowflakes, the other side has seen the appearance of Christmas trees, sparkling gifts or reindeer velvet reindeer. 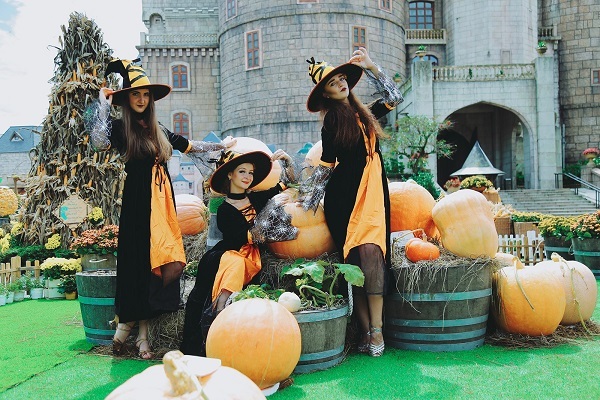 Last Halloween, Sun World Ba Na Hills has “played big” when building a series of small landscape with more than … 10 tons of pumpkin, corn, apples like carriage pumpkin gold pumpkin, pumpkin kangaroo shirt, apple red house … Simultaneously reproduce a series of famous fairy tales. 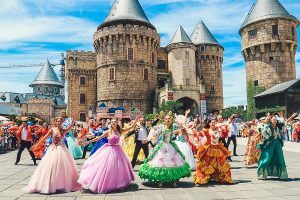 Through the recorded images, I can feel the music, feel the dance of European dancers as well as the jubilant, festive atmosphere of that festival. 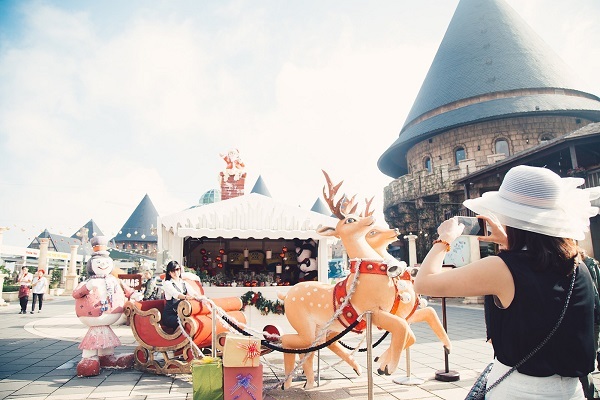 Winter is cold but the festive atmosphere here is always “hot” – assure you are like that. But still not finished, is known every spring, Sun World Ba Na Hills pick up hundreds of different kinds of rare flowers such as barley in the extreme south of America; pansee, geranium, harvests from Europe; Peach blossoms come from Japan or peach, peach.Spring has sparkling, now more natural colors become more fresh. The Halloween Festival has just ended, as the 2017 Winter Festival is about to begin.Soon, the Spring Festival with its unique art performances, with the splendor of thousands of flowers, will also welcome thousands of visitors to come here. When the spring comes, summer is coming, time for a season of wine jubilantly. 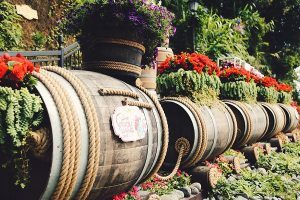 And if you think there are many festivals, the list is not over yet because we still have B’estival – beer festival with golden beer, black beers, roast lamb, sausage and cakes. Salt noodles are just like in distant Germany. East as well as summer, day as well as night, it seems that the concept of time has no meaning because here is only one season, that is the festival season. Explore the world right in Vietnam. 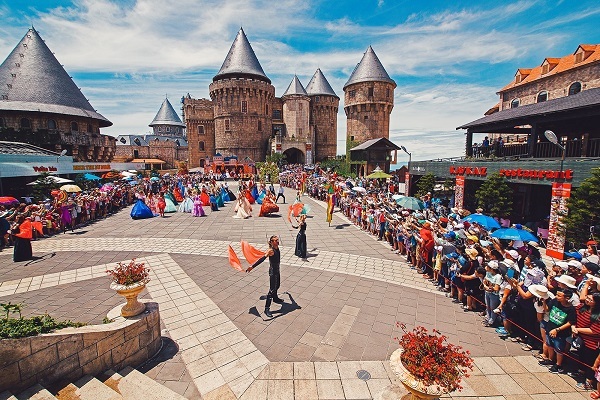 Sun World Ba Na Hills is a perfect combination of culture. From the first impressions, you can see the sophistication, sophistication between the features of Asia and Europe. 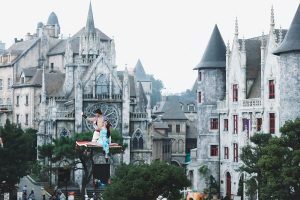 This place is a French village, on the other side there is a Bao Phong Spirituality characteristic of Buddhist architecture. Then how ancient sacred Linh Ung Pagoda can “share a sky” with a garden with 9 different architectural features? That’s it! 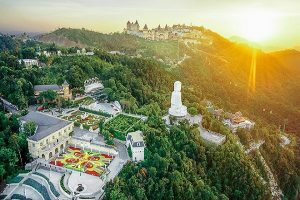 Things that seemed impossible to appear in the same place but turned out to be a harmonious, exciting under the name Sun World Ba Na Hills. From the people, the architecture to the food, the decorations and even the festive celebrations are held year-round throughout the month – everywhere is built up, formed from long-standing cultural values. . Why do the castles here have a roof tile roof? Why are there so many models of Morin Hotel? 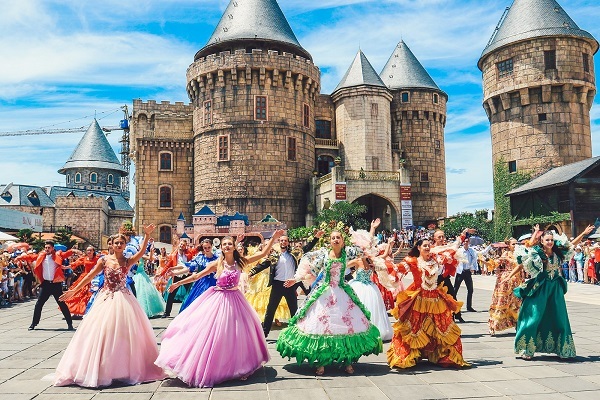 Why are most dancers performing at Sun World Ba Na Hills all European? 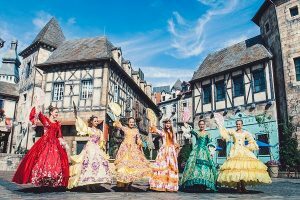 Why, when performing, everyone must wear huge dresses? Countless things are waiting for you to discover. Just ask the right questions, you will find the answer. 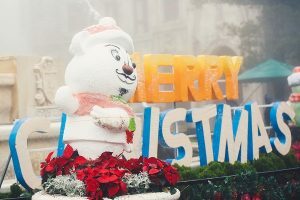 How is Christmas in Vietnam?